ABC13 meteorologist Elita Loresca says a stormy day is ahead for morning commuters. HOUSTON (KTRK) -- We could be in for more rain and storms around the Houston area. 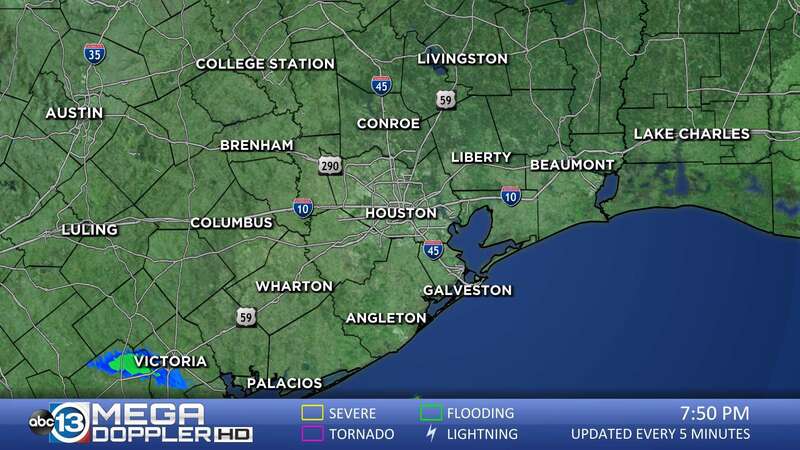 ABC13 meteorologist Elita Loresca says the atmosphere is "favorable for weak tornadoes" during the afternoon. Some areas north of Houston experienced storm damage yesterday. Because of yesterday's rains, the ground may be saturated in areas, bringing a chance for street flooding in those locations. High winds could also knock out power, toppling trees and fences in some areas. The severe weather threat should move out of the Houston area at day's end on Wednesday, Loresca said. Foti Kallergis is out in the Fort Bend area checking out the damage of Monday morning storms.